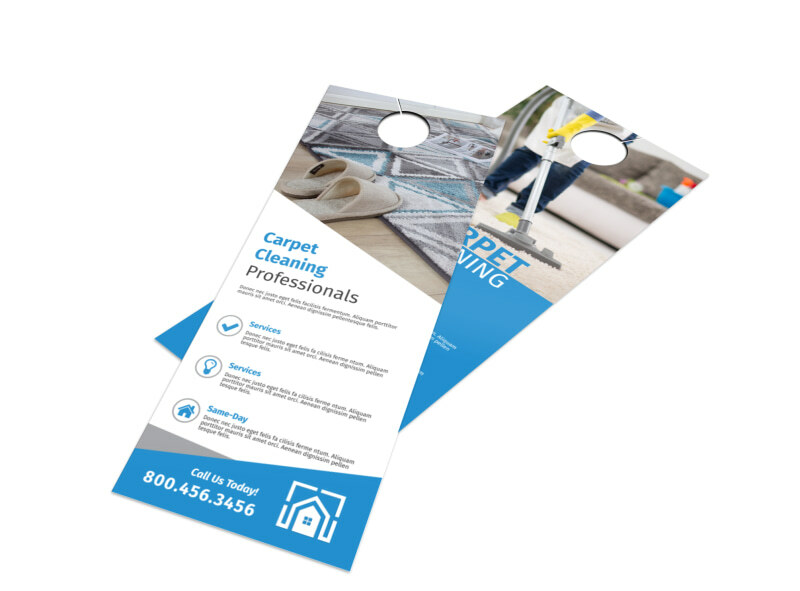 Customize our Carpet Cleaning Professionals Door Hanger Template and more! 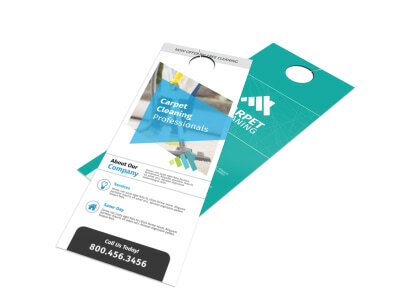 Canvas the neighborhoods on the hunt for would-be-cleaned carpet with this door hanger for your carpet cleaning business. Customize the template for this door hanger by easily changing the color theme and selecting the font you prefer to convey your business message. 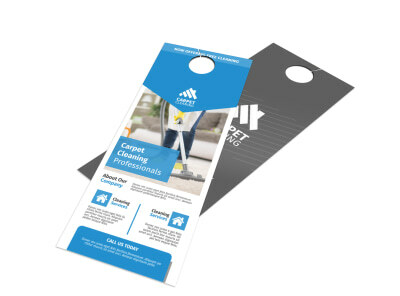 Add images or other design elements to make your door hanger more appealing before sending your files to our printer for a professionally printed product.